Have you visited New Radiance Cosmetic Center recently? Consider sharing your experience and help us provide you with even better service on your next visit. 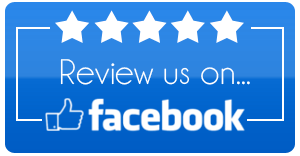 Use the review buttons below to let us know what you liked about your visit. Our providers depend upon your feedback and really appreciate it when you take the time to personally review them. Please mention the provider and service in your review. At New Radiance we pride ourselves on realistically representing our services. We have Top doctors including a plastic surgeon trained at Johns Hopkins, Dr. Avron Lipschitz and a renowned Liposuction expert Dr. Neil C. Goodman, who has performed over 5,500 procedures. Please note that even though you receive the best care and we have the latest procedures including SculpSure, your results may vary. Your own experience may not match the Before & After pictures and each individual's results will vary. The information provided is NOT intended as medical advice and is for your general knowledge only. © 2019 New Radiance Cosmetic Center of Palm Beach. Enter your name, email and phone belowFlorida's #1 SculSure Center and Now get a second SculpSure Treatment free to Double your fat reduction! Get Your Second SculpTeatment FREE Now which Increase fat loss by 100%! Closest Office for Free Consult? Best Day to Schedule Free Consult? Enter your name, email and phone below for 25% Off Coolsculpting and $750* in Free Treatments.